The 2015 SEABA U16 Championship ended with heavily-favored Batang Gilas completing a tournament sweep en route to their third U16 crown. Malaysia also beat Brunei to finish with the silver, while the Indonesians settled for bronze. 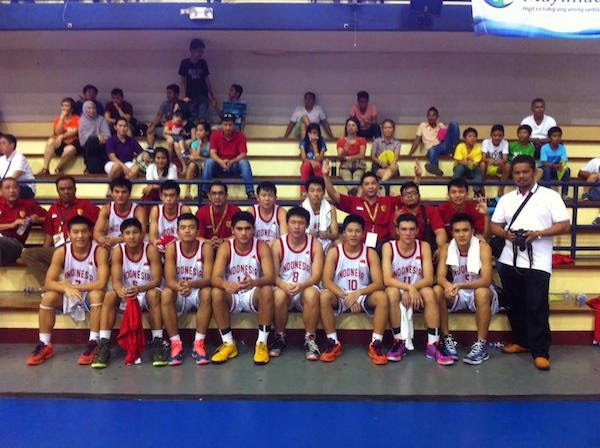 The top three teams here have secured slots in the 2015 FIBA Asia U16 Championship in Bangalore, India. 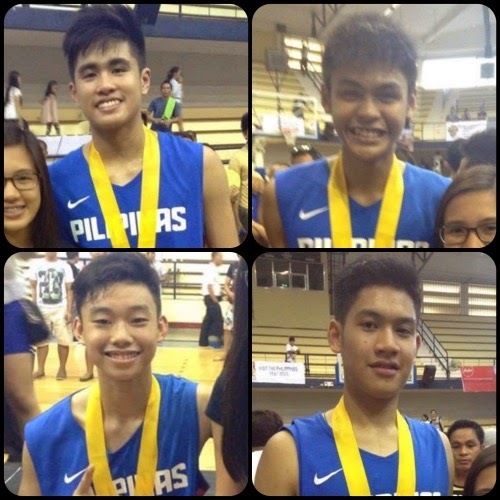 Batang Gilas smiles all around. 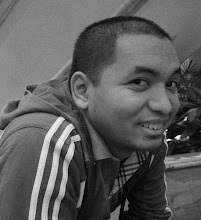 - Even with top gunner Kalven Lim sitting this one out, Malaysia still had an easy time disposing of the hapless Bruneians. 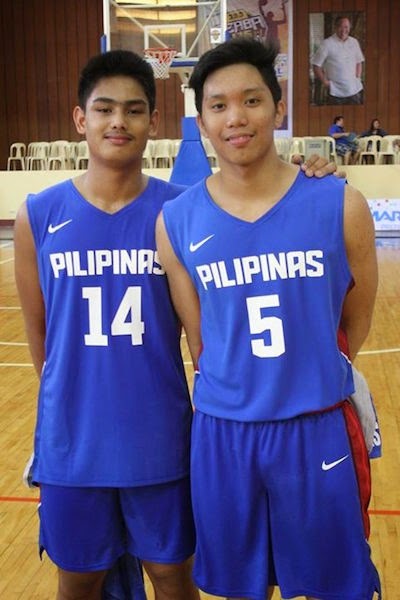 Yee Len Kua had a monster 24-point, 16-rebound outing to lead coach Dany Yong’s squad, which finished second overall in the competition and formalized its entry to the 2015 FIBA Asia U16 Championship. Malaysia outworked Brunei on the boards, 62-38, and used great ball distribution to continuously frustrate their victims, who finished winless in four games. Kean Er CHang and Zhong Shing Thea backstopped Kua with a combined 30 points and 20 rebounds, while the losing side was paced by Wee Liang Soh’s 16 markers. Line of the Game: Yee Len Kua (MAS) - 24pts, 16rebs, 1ast, 12/15 FGs. 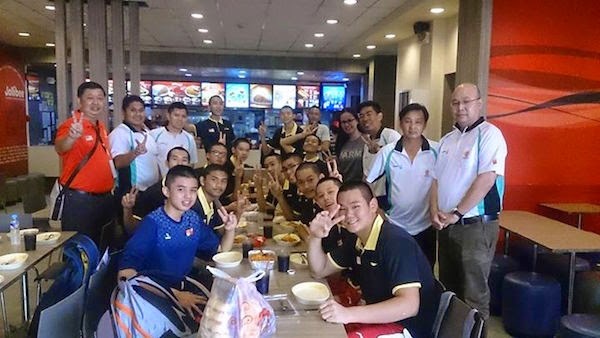 Shortly after winning their game against Brunei, Team Malaysia was treated to... Jollibee!!! Team Malaysia books a ticket to Bangalore! - It’s hard enough to stick with the Filipinos if they have a slow start, but allowing the home squad to erect a double-digit lead early in this game made it even tougher for the Indons to hang around. Eager to prove their supremacy at this age level, Batang Gilas was relentless on both ends of the floor, forcing 36 Indon turnovers and pounding the ball inside on offense. Pinoy wunderkind SJ Belangel recorded a near triple-double line of 18 points, 8 assists, 7 rebounds, and 2 steals while shooting 8/13 from the floor. Fellow starters Jonas Tibayan, Gian Mamuyac, and Dave Ildefonso also finished in double-figure scoring while 6’5 slotman Will Gozum dominated the glass with 14 boards. It was a fitting end to the Batang Gilas boys’ campaign, where they outscored their foes by an average of 56.5 points. Indonesia, meanwhile, finished third with a 2-2 win-loss card, which was still good enough to qualify them for the 2015 FIBA Asia U6 Championship. The Indons were led by Juan Maulana and Agassi Goantara, who recorded 12 and 11 markers respectively. Line of the Game: SJ Belangel (PHI) - 18pts, 8asts, 7rebs, 2stls, 8/13 FGs. 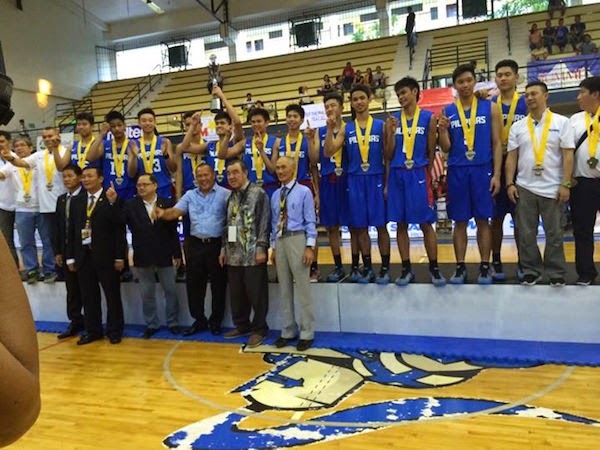 Batang Gilas met expectations by pocketing the gold with ease. Big men Rhayyan Amsali and Jonas Tibayan are headed for Bangalore! 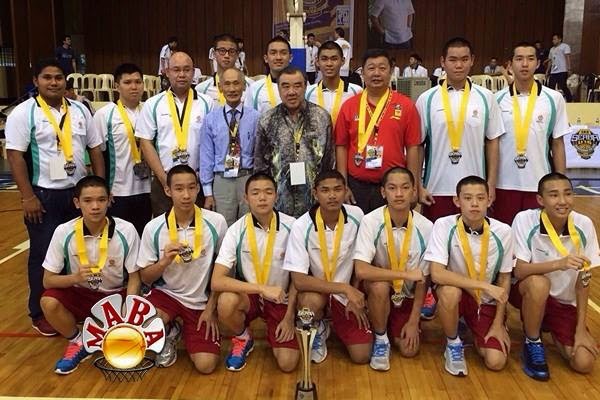 Team Indonesia takes third place and also qualifies to the 2015 FIBA Asia U16 tournament.